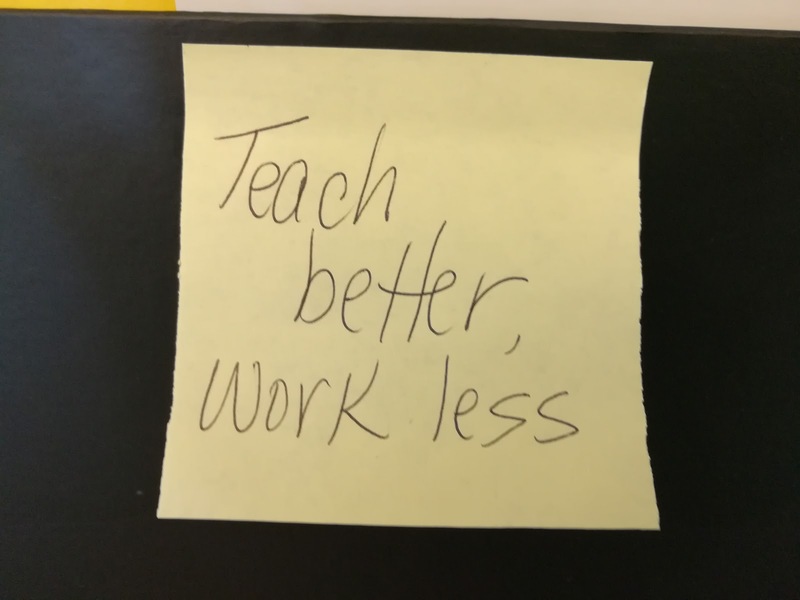 I continue to be inspired by Elizabeth Dentlinger and her goal of Teach Better/Work Less, which I've adopted as my own. While I've got lots of moving parts to the Teach Better/Work Less plan, one area I've had to take a close look at is innovation. Why do I feel like I must have new and better ways every year, all the time? There's no doubt that our field is full of learning and innovation right now--making the shift from learning to acquisition, from memorization to proficiency, new ACTFL standards, new research, better ways to spend our class time.....There's a lot of great work to be done. But I don't have to do it All. At. Once. 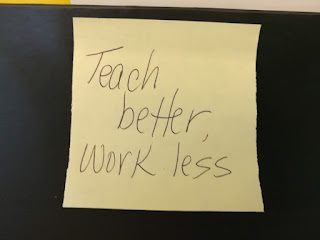 After writing a couple of new units for upper elementary and middle school and adding FVR, I started talking about creating stations--after the school year had started. My good friend and colleague, Siobhan, didn't even look up from her work when I laid out my plan. She simply said, "For next year." She knows. I'm an innovation junkie. 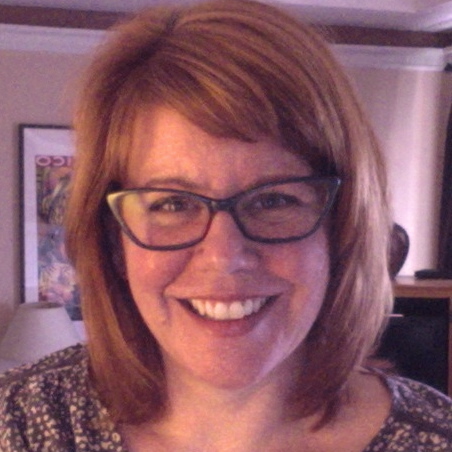 In reflecting more about this penchant for change, it became clear, quickly, that my focus on (rapid) innovation was the cause of a lot of stress and additional pressure on my work load--all brought on by me. I'm now asking myself, "Am I really reflecting on each major innovation? How does it work? How do the children respond? Is the innovation responding to their needs? Is it too fast for them? How does this change focus on the bigger picture and program goals? Given the time limitations, does it make sense?" So, I'm committed to what I've started and as far as innovation? I started a Pinterest Board with ideas for stations so when I feel the strong urge to start changing things I can pin ideas to the board and then let it go...for now. Same for unit ideas. I'll take some time to sit with the changes already in place, and respond as needed.